The National Pony Society are the very proud long term sponsors of the renowned NPS/Baileys Horse Feeds M&M Ridden Pony of the Year Championships held at the worlds most famous horse show, Horse of the Year Show. They are one of the most contested qualifiers of the year with many qualifiers bringing in over 50 entrants per section, with competitors traveling up and down the country to qualify for the impressive championship. 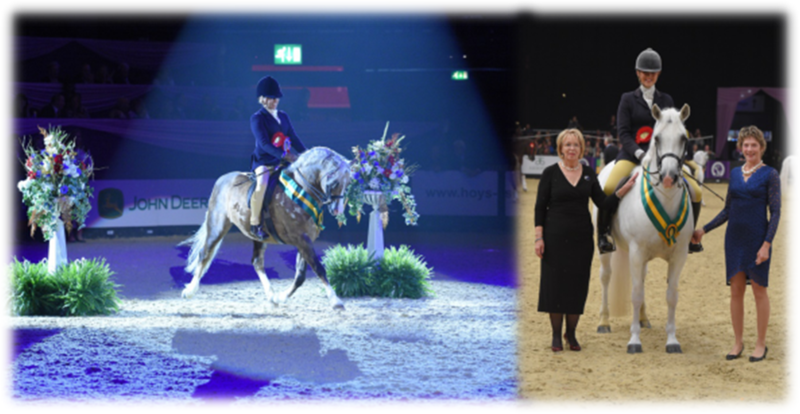 The final is held over two days in October at the NEC, Birmingham in the Topspec Arena with the first two prize winners from each section going through to the overall NPS/Baileys Horse Feeds M&M Ridden Pony of the Year Championship. This is held on the Thursday evening in the iconic Andrews Bowen International Arena, with the champion taking the historic Gordon Winters Cup, which in 2015 was presented by the patron of the National Pony Society HRH The Princess Royal. The British Riding Pony at HOYS. 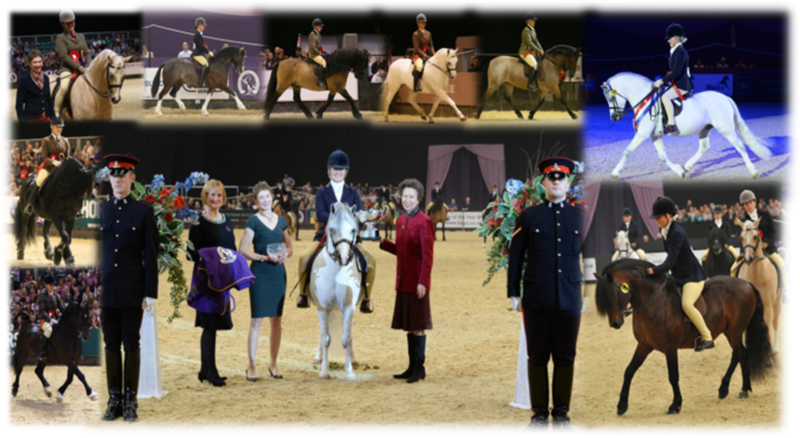 Over the years the British Riding Pony has excelled at the Horse of the Year Show winning many of the different championships they are eligible for, from the leading rein and first ridden classes through to the children’s riding pony and show hunter pony classes, up to the intermediate show riding and hunter type classes, and not to mention the working hunter pony classes and the in hand pony final. 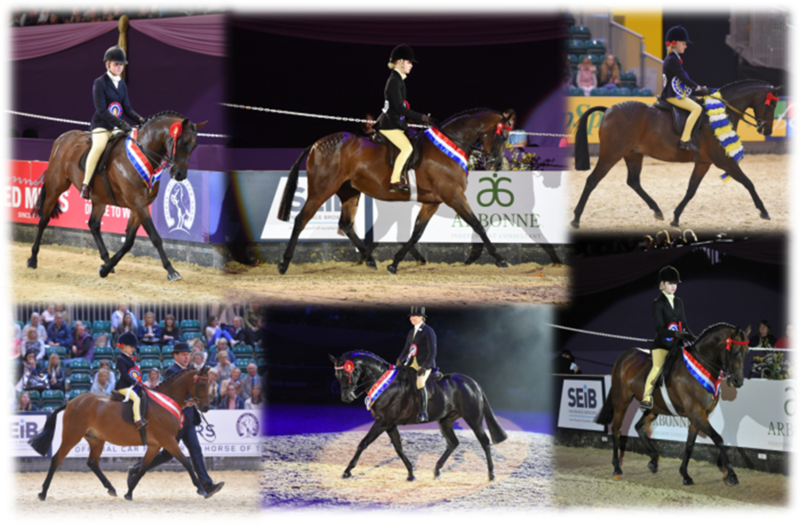 HOYS showcases what a versatile pony the British Riding Pony can be and is a fantastic showcase of their talents and success. The BRP also dominates in the breeding awards of the show with the overall leading breeder award being taken by BRP breeders Ann and Claire Smalley of Barkway Stud for the last 4 years in a row. The ever successful stallion the late Kilvington Scoundrel took the overall leading sire of the year award 4 years in a row from 2012-2015, with the title in 2016 going to another registered BRP stallion – Cusop Dimension. 2017 sees the first year of NPS sponsorship of the plaited Working Hunter Pony Championships at Horse of the Year Show. In conjunction with Snuggy Hoods, the NPS is aiming to promote the versatility of British Riding Ponies, in this highly sought after Championship. The classes are oftern a great springboard for younger riders to go on to great success in adult working hunter classes, but also in top level eventing and the hunting field. The final is held on the Friday of the show at the NEC, Birmingham in the Topspec Arena with the first two prize winners from each section going through to the overall NPS/Snuggy Hoods Working Hunter Pony of the Year Championship. This is held on the Friday evening under the spotlights in the iconic Andrews Bowen International Arena.